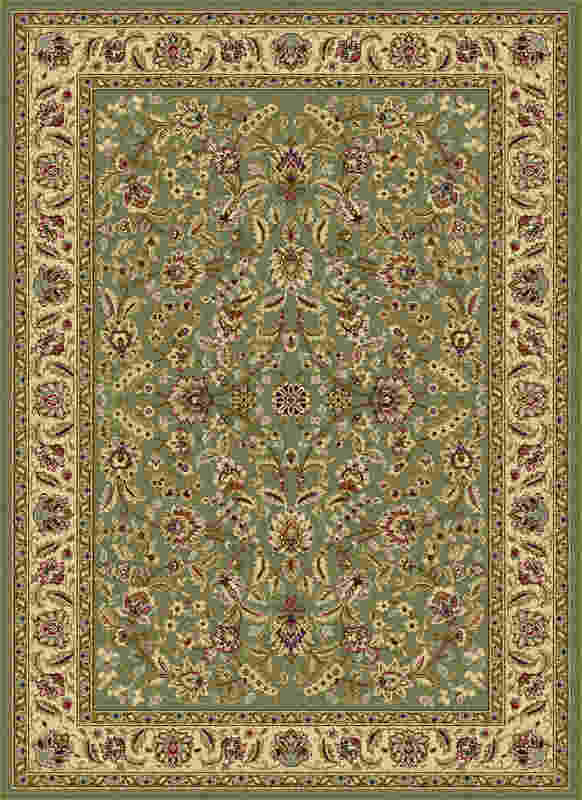 : LizbethGreen 5' x 7' 20" x 60" 20" x 32" 5' x 7' 5'3" x 7'3" 5'3" 7'10"
A luxurious and intricate oriental design define this traditional area rug. Perfect to add a touch of refinement to any room. Green background with gold, ivory, bronze, blue, and black. Available in several individual sizes and as a three piece set so you can harmonize your theme throughout your home. It is easy to care for, vacuum regularly to maintain its appearance. Spot clean as needed with mild detergent, do not dry clean or bleach.